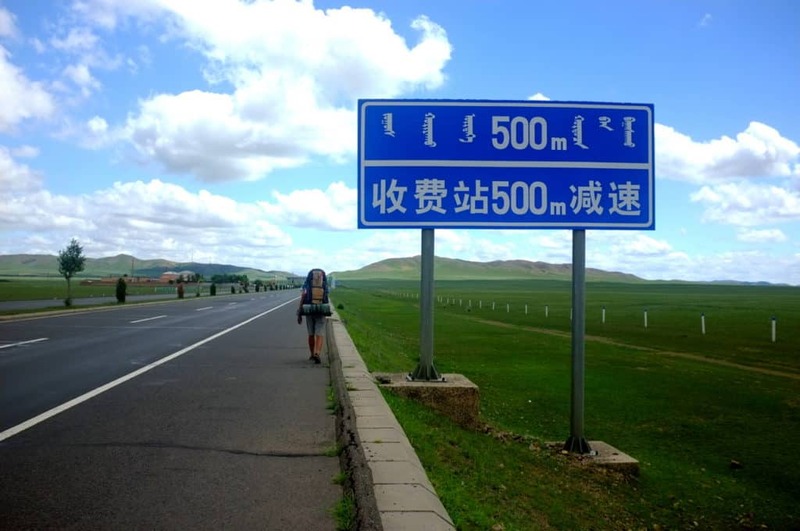 Is it easy to hitchhike across China? 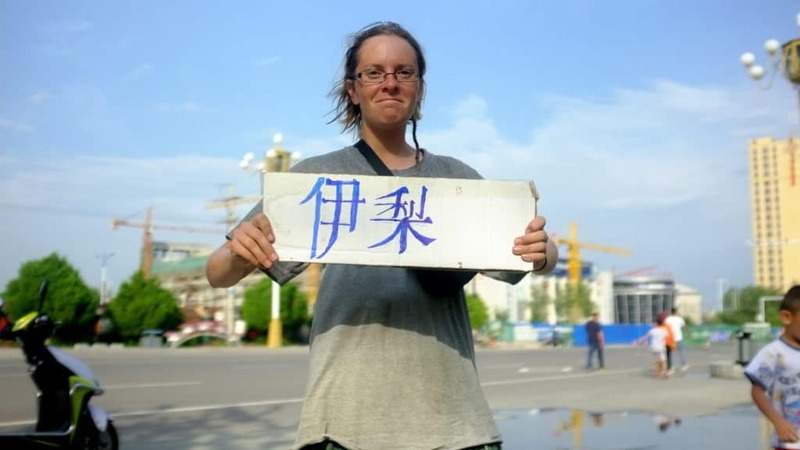 Tips, tools and rules when hitchhiking in China. 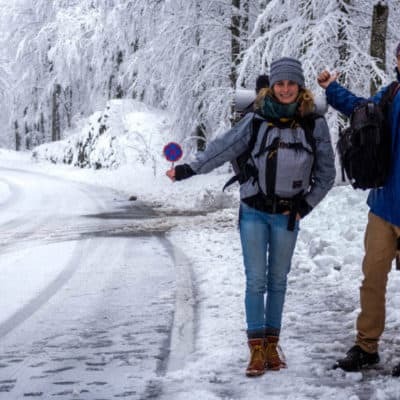 Our friends Zevla and Vojta from Hobo Journey went on a one-year-long hitchhiking journey from the Czech Republic to Mongolia and back. 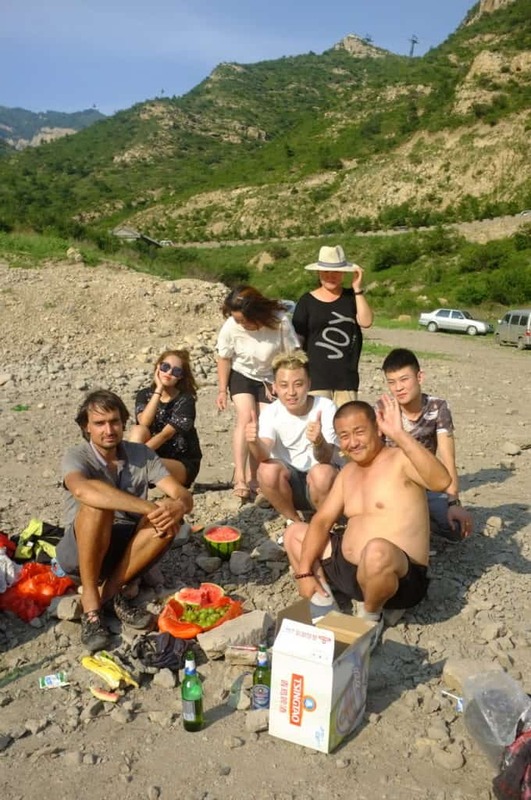 Here’s a guest post written by Zevla about their hitchhiking experiences in China. 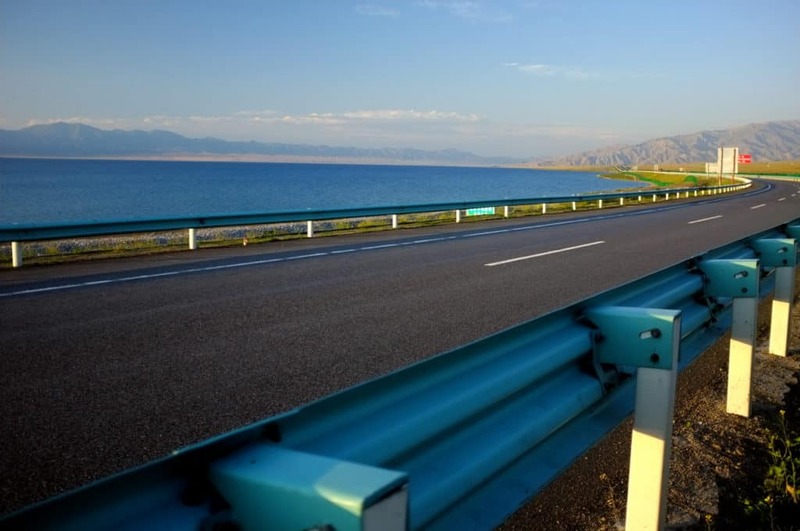 Is it a good idea to hitchhike in China? I’m from Europe, I don‘t speak any Mandarin and the closest I ever got to China was buying noodles in a Chinese restaurant. That’s why hitchhiking across this country was a true journey down the rabbit hole. In this article, I would like to share some of my experiences. 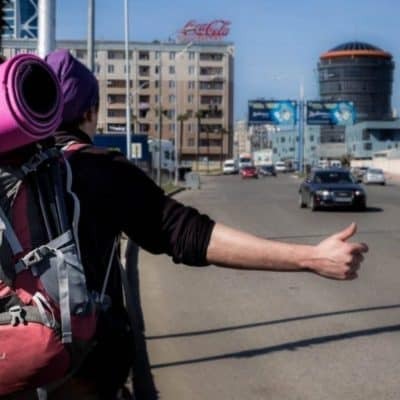 If you’re thinking about hitchhiking through China, this post will give you some good insights and additional tips and tricks! As you might have noticed on the world map, China is really big. 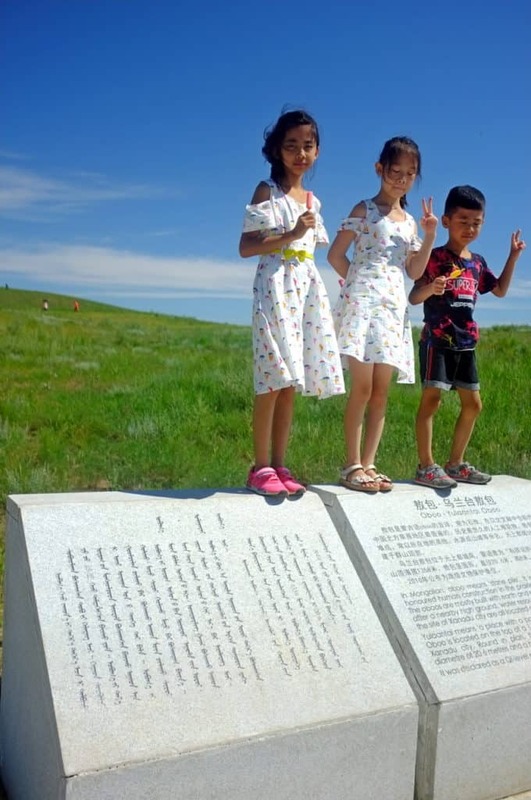 Most of the time, we stayed in the north, going from Kazakhstan to Mongolia across the provinces of Xinjiang, Gansu, Ningxia, Shaanxi, Shanxi (yep, those are really two different regions) and Inner Mongolia. Even though we often found internet coverage that my home country’s capital could only dream about, roads that were way better than the Central European ones and cities with several millions of people, these regions were considered to be the rural part of the country (the “less civilized one“, a southerner told us). This means that the situation in the north might be somewhat different than in other parts of China. Your best friends: a hitchhiking letter and a phrase sheet. Useful things to bring with you when hitchhiking in China. The most difficult thing about hitchhiking across China is probably getting the paperwork done. When you make it through the red tape and get your visa, you’ve won already. My favorite source for navigating the visa jungle is the Caravanistan site – there, you can learn more than I would ever be able to cover. 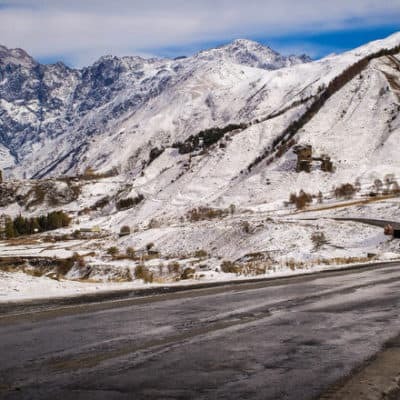 The only way to get to China from Central Asia by land is by crossing to the Xinjiang province. 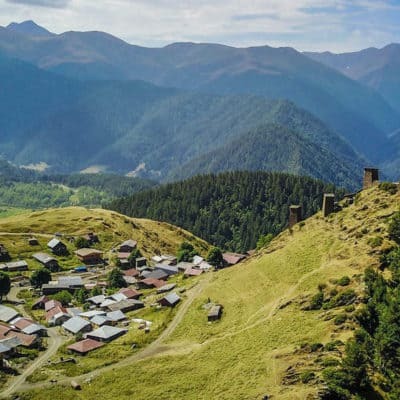 It is not very populous and the countryside in the north looks a lot like in Central Asia: large plains, stunning mountains, and the beautiful Sayran lake. And yurts. The people there are generally very hospitable and they totally don’t mind they can’t understand what you say. A thing like a language barrier doesn’t prevent them from inviting you for a huge meal and giving you some snacks for later, no matter how much you are trying to decline or pay for it. The Beijing authorities don’t like Xinjiang much, though. The Uyghur people live there and they don’t seem to be enough in line with the government ideology and requirements. There is sometimes unrest, the Uyghur people are bullied by the authorities and the whole region is under a tough control– at least, in 2017 it was. Police are everywhere and there are checkpoints on every road between cities or towns. Uyghur people are sometimes not even allowed to leave their city whereas Han Chinese (and other people) are. If you are a foreigner, it usually only means that you’ll be asked to show your passport twice a day and have a chat with the police every now and then (in Chinese, of course). Forget about hitchhiking near gas stations. Normally, a gas station is a civilization hub for a hitchhiker, with a bathroom, drinking water, food and sometimes wifi. In Xinjiang, however, gas stations are well-guarded fortresses covered in razor wire, fences and something that looks like a WWII Normandy barricade. Only the driver of the car is allowed to enter, and the rest of the crew has to wait outside. It’s fair to say that as a foreigner you aren’t officially allowed to roam freely around the region. As a Czech passport holder, for example, you are required to provide a special invitation letter from a government tourist agency when you are applying for a visa. Of course, I wouldn’t tell anyone to break the rules. Rules are good and breaking them is bad (if you know what I mean). However, the border guards don’t have the means to know what you told the embassy when you applied for the visa – at least in 2017, they didn’t. The police we met on the streets didn’t have much knowledge about the special rules for foreigners. They were already happy when they managed to read our passports in the Latin alphabet (or Cyrillic), and usually, they couldn’t. If I were to name one of the most useful things we took to China with us, it was a sheet of paper with a brief message translated into Mandarin, explaining what hitchhiking is. We would show the message to the drivers that would stop for us. Sometimes the person would answer something very complicated in very fast Mandarin, other times they would just show us to hop in. It worked fairly well. It worked! 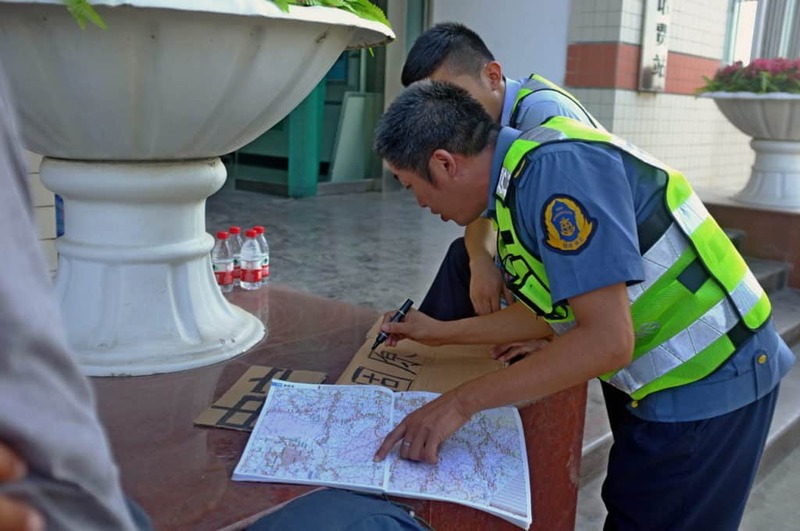 Unlike other hitchhikers who didn’t speak Mandarin, we never ended up at a police station. Once, a police patrol made us leave our spot on the motorway but drove us to the other side of town, which was actually better. Since they let me hold one of their “toys” on my lap, a metal bar with some kind of claws, I assume they didn’t find us very suspicious or dangerous. During the whole month we spent in China, we met only 5 people who could speak a western language and a guy who knew Japanese. (We didn’t speak Japanese, though.) Except for that, we had to find our way around in Mandarin. 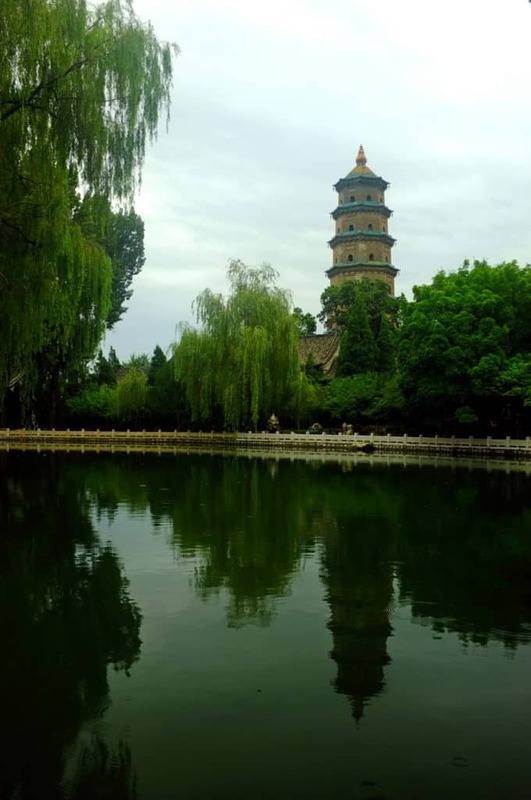 I learned some Chinese words but for some very mysterious reason, people never understood me when I was saying those words – not even when I was making waves with my hand in an effort to recall the tones and reproduce them. That’s why we were very happy we had a list of basic sentences translated into Chinese, such as: “Is this water good for drinking?“ or: “We are hitchhiking to Mongolia“. We would just show the sheet to people and point at the sentence we needed. This wasn’t only very useful but it also enabled us to do some kind of small talk, even though it was pretty one-sided because we would never understand the answer. We thought that a translation app would be enough, but we didn’t find a good one that worked offline. It’s very hard to get a prepaid SIM card in Xinjiang, we only got internet after one week, in the Ningxia province. There are some great websites to find information about the internet situation in China, so I will only mention it briefly: if you rely on a phone or a computer, get a VPN, and get it before entering the country. It seems that in China pretty much all the sites that western people use are blocked. Without a VPN, we couldn’t access anything run by Google or Facebook, nor Couchsurfing, Wikipedia or any unimportant local European sites. Goodbye translation apps and maps. Chatting applications such as WhatsApp or Telegram were blocked as well. 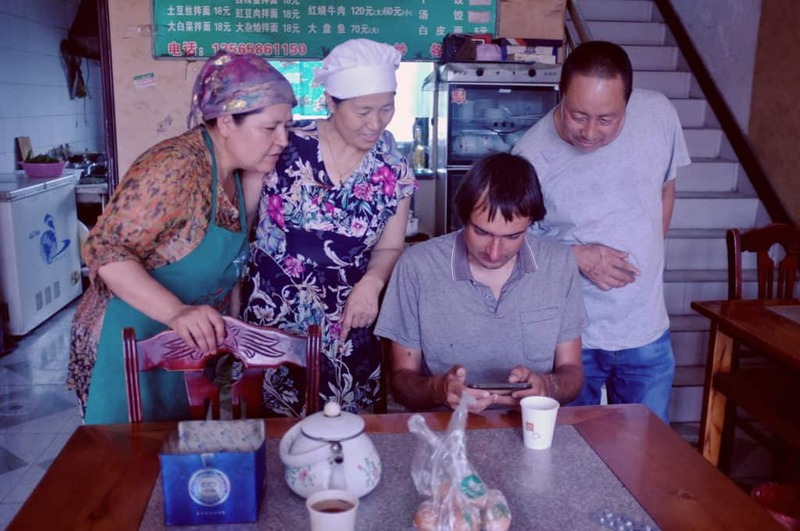 Local people use Chinese apps, such as WeChat. It’s nice to have if you want to be in contact with Chinese people, and it also has some kind of translation function. The internet signal was everywhere so stable and fast that the use of a VPN didn’t slow it down much. 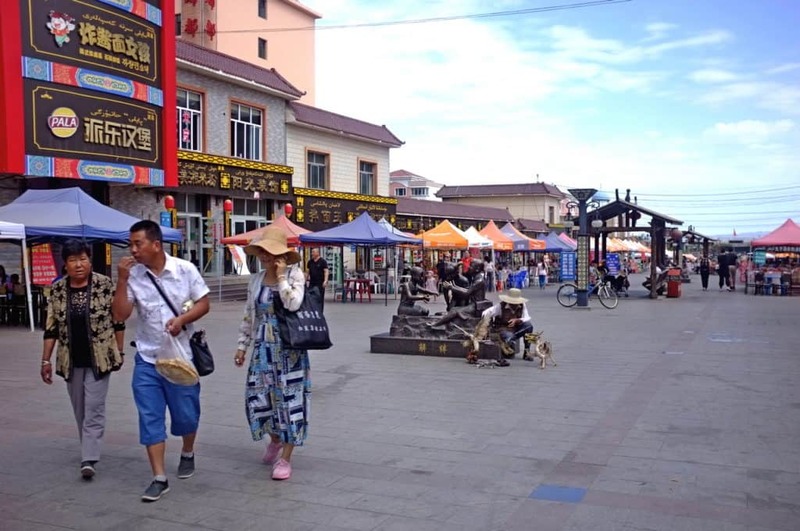 We managed to buy a prepaid SIM with the cheapest data plan for a month – we connected to the wifi of a shop somewhere in the Ningxia province and had the whole conversation with the shopkeeper through a translation app. Everything went well until we asked her what our data limit was. She kept answering a different question, and after a lot of confusion we found out that our plan, the cheapest one available, was unlimited. There was actually no such thing like a data limit. If you want to cross China by hitchhiking and you don’t want it to take a lifetime, you’ll probably spend a lot of time on motorways. Since we were living in some kind of a language vacuum and were totally illiterate in Chinese, I must admit I still don’t know whereas hitchhiking directly on motorways actually is allowed. The fact is that we never got into trouble for doing so. In some provinces, there are toll gates. Toll gates are nice because cars go slowly through them, there is plenty of room for stopping and you’re usually allowed to do your thumbing act there. However, sometimes you are not. It depends on the person who is on duty. 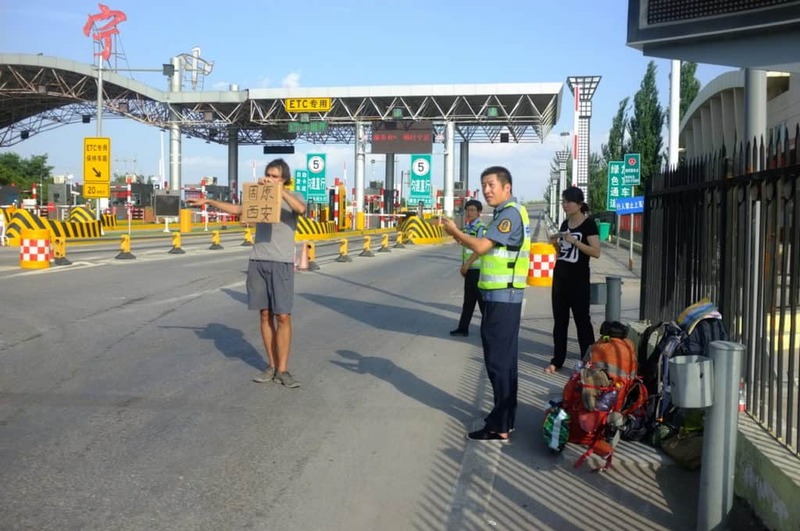 Some of the toll gate staff ignored us, some came and talked to us and then let us hitchhike on, some threw us out, some wrote us a sign, gave us snacks and water and “hitchhiked“ with us until we found a car (or until they found a car for us). It proved pretty efficient because the staff members knew how to recognize license plates from different provinces, so they could wave at the most probable cars. Once, a staff member brought us to his office and wanted to help us really badly. After a lengthy negotiation, we managed to convince him we didn’t want a taxi or a bus, not even for free, and he then hitched a car for us. Again, we would use our hitchhiking letter to explain what we were doing, and it helped us a lot. If you want to go really fast, try hitching a ride with a truck. Some trucks go really far and it’s like a teleport. 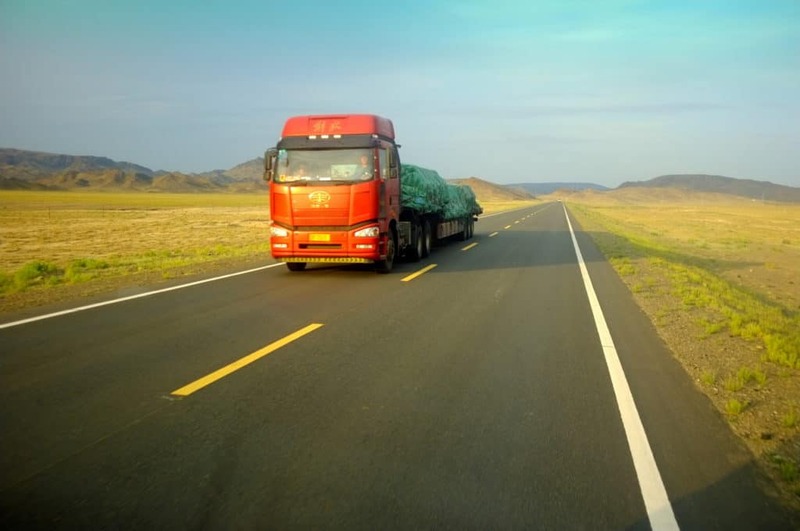 Whereas in some other countries, truck drivers must follow rules – such as driving no more than 4 hours without a break and resting at least 8 hours at night – Chinese truck drivers don’t seem to have any biological needs like other humans. My longest ride ever was with a Chinese truck. We covered 1300 km within 24 hours, crossing something that seemed like a desert and the entire province of Gansu. Our two drivers were taking turns in driving and sleeping on the cabin bed while Vojta and I were taking turns in sitting on the spare seat and being squeezed between the chair and the gear lever. Within the entire hell ride, we stopped twice – to use the bathroom and to have a copious meal the drivers didn’t let us pay for. Some of the people we met, had never seen foreigners like us. Or, at least, some of them acted like it. They would stare at us as if we were a very exotic, long-extinct species, with no reaction whatsoever if we tried to greet them or speak to them. A grandpa stopped his scooter right beside us so that he could have a closer look, but he didn’t move a single muscle in his face when I said hi to him. After a couple of awkward minutes, he hopped back on his bike and left. He topped my personal charts in being weird. There were also people who wanted to interact with us. Sometimes in large groups. This mostly happened when we stopped a person to ask a very interesting and intellectually stimulating question, such as “Where is the bathroom?”. As soon as the person started talking, 15 to 20 people formed a circle around us, enthusiastically waiting what we would do next. We would usually try and say something in Mandarin but they didn’t really identify it as an attempt to communicate. Then we would just stand there and smile like idiots. During such moments I regret not knowing how to juggle, do a handstand or spit fire. Our audience was quite merciful, though, and felt entertained enough by us just standing there. When we ran out of vocabulary, we would end our performance and leave. One time we also brightened up the day of two toilet attendants. When we were washing our hair at their bathroom, they took like 20 selfies with us. Most of the people we met were super nice to us. After crossing the Middle East and Central Asia, we were quite used to people being hospitable. But China brought the concept of hospitality to a whole new level. In the previous countries, we would usually have at least a small chat with people before they invited us over to eat with them. In China, understanding us didn’t seem to be a requirement for wanting to give us food. We wouldn’t only get meals and snacks from the drivers we hitched a ride with, but also from people we asked for water or people who were just nearby. During our first week, we went to a shop in a suburb of Urumqi to ask for drinking water. 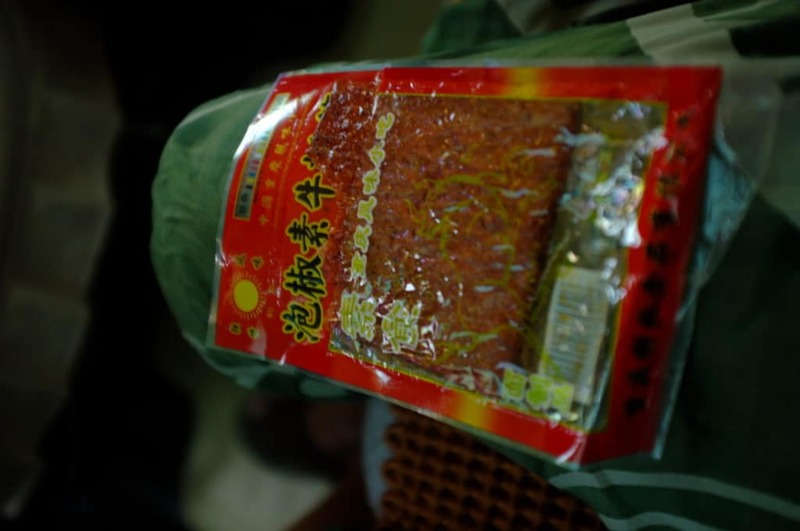 The shopkeeper said she didn’t have any and gave us a huge bowl of noodles and a pot of tea instead. Meanwhile, several owners of the neighboring shops came to look at us. While we were eating, a lady saw our backpacks and started boiling eggs so that we could take them with us. Another person gave us a dumpling and some sweets. When we were trying to pay for the food, they wouldn’t hear of it. At first, we thought they were just being polite so we tried to insist, but they just didn’t want to accept the money. Half an hour later, we left the shop completely stuffed and our bags heavy with food supplies. We still had no idea where to find the water, but we were now a bit afraid to ask for it again. We thought this hospitality was only a specialty of the Muslim province of Xinjiang but people kept being nice to us everywhere we went, even at some touristy spots. There was only one notable difference compared to Central Asia: the people hardly ever invited us into their homes. I still don’t know whether their home was seen as a place too intimate for strangers, or whether the people are too perfectionist to let an unknown person stay at their home. In any case, we were hosted 3 or 4 times throughout our month long trip – once in an Uyghur home in Xinjiang, once a guard of a rundown historical town let us stay in one of the old houses and once the family of a girl we knew through a friend paid a hotel for us even though we spent the whole afternoon trying to convince them that we could easily camp on the floor in their house. This brings me to another topic: camping in China. Where should you sleep if you can’t put your sleeping bag on someone’s floor? As I am bad at keeping track of rules, I’m still not entirely sure if (wild) camping is allowed in China. As a foreigner, you’re supposed to register in hotels. However, we never got in trouble for camping in the wild. We were traveling through China in July and the weather was extremely sultry. We hardly ever pitched our tent or even slept in our sleeping bags. We would only use the mosquito net of our tent – often in unused gardens, orchards, tree plantations or brownfields in the suburbs. When all the mosquitoes seemed to have fried because of the heat, we only slept on our mattresses. We always felt pretty safe. To wash, we often used public bathrooms or sprinklers … As it was very hot and dry, some regions would have a lot of sprinklers to water the plants. Sometimes we even found a lake. It was interesting that, even though there were always some people on the shore, we were the only ones who went for a swim. Finding drinking water was less easy, mainly because our water filters broke very early during our trip. We had to ask people if they could boil some water for us or if the water from the taps was drinkable. We never had any digestive problems so this worked out fine. Getting food was even more fun – since we couldn’t understand any of the signs written on the packages in grocery stores or find any familiar products, we would just get some stuff that looked edible. We barely knew if the things we bought were made from animals or plants. Sometimes it was tasty, sometimes it wasn’t. One of the packages I bought turned out to be a purple, sweet sausage and it was the most disgusting thing I’ve ever tasted. The boiled salty eggs were nice and the instant noodles were even tastier. Anything we ate in small local diners was amazing. The homemade meals were the best. Contrary to my expectations, we got a lot more noodles than rice. 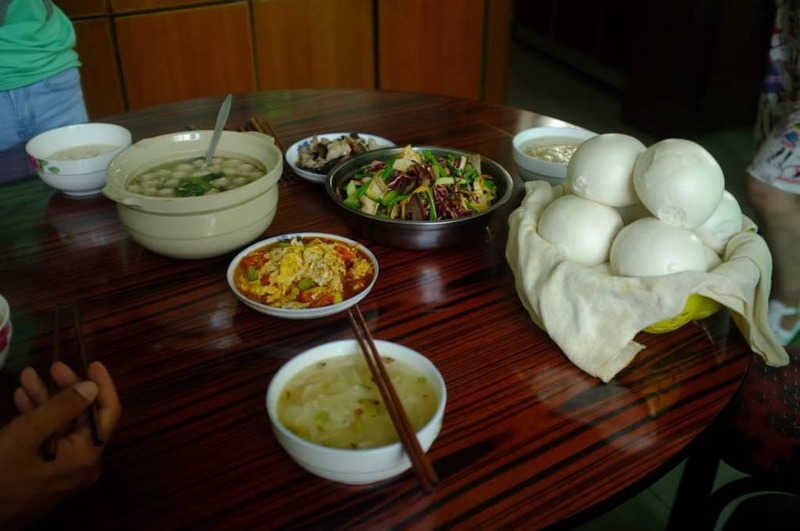 It’s said that in China it’s impolite to eat everything on your plate. An empty plate is a sign to the host that you’re still hungry. However, the meals we received were so copious that it would have been simply impossible to finish our plates. To conclude, China is so different from any country in Europe, the Middle East or Central Asia that every single thing you do feels like you’re on an expedition. Hitchhiking through China was way nicer than I had imagined. The people weren’t as reserved as I thought they would be, nature was more beautiful than I had pictured it, the language barrier and finding our way through the cities wasn’t as difficult as I had expected and even the cops weren’t very strict. I hope your journey through China will be as amazing as ours. Good luck! 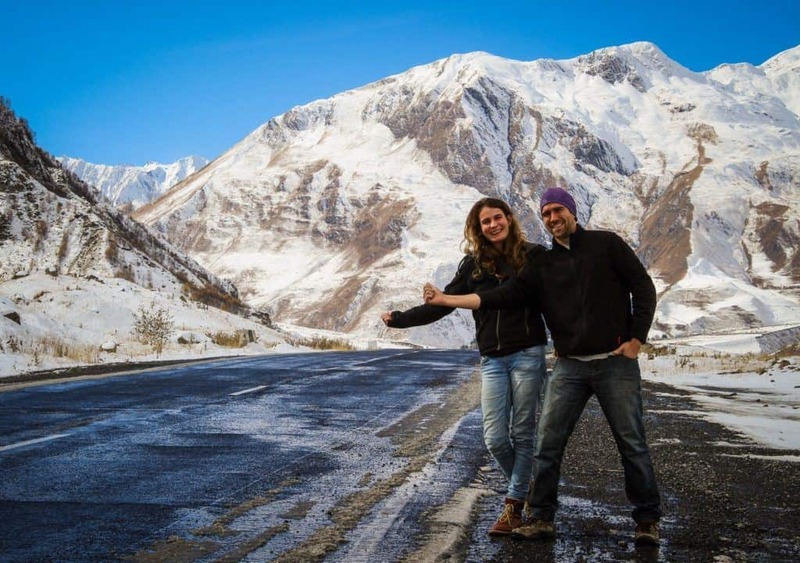 In November 2016, Zevla and her friend Vojta turned east for a year-long overland journey. 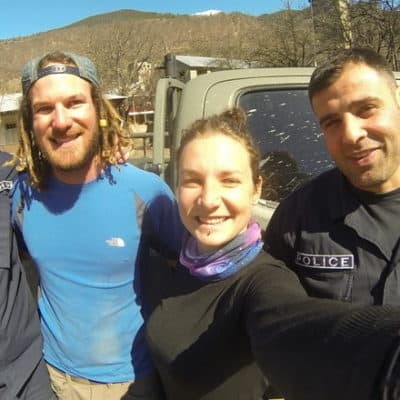 They hitchhiked from the Czech Republic up to Mongolia and back. 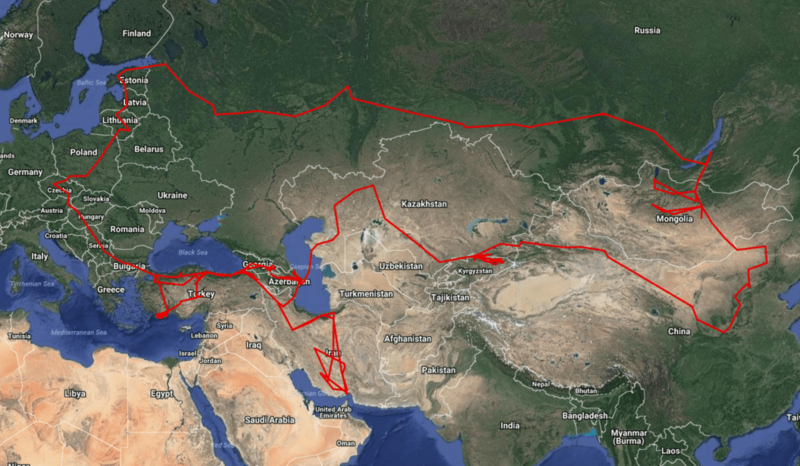 They crossed the Balkans and spent most of the winter in Turkey and Georgia, then continued their journey to Iran, Azerbaijan and crossed the Caspian Sea to Central Asia. 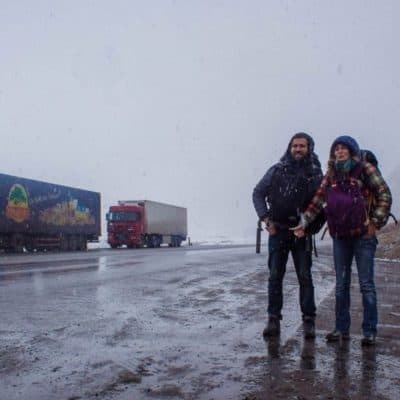 They hitchhiked through Kazakhstan, Kyrgyzstan and China up to Mongolia, and returned to Europe through Russia. 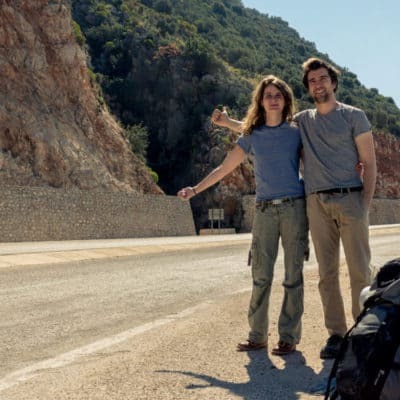 They traveled only by hitchhiking (except the ferry), didn’t sleep in any hotels or visited any tourist attractions, and focused mainly on meeting people and learn more about their daily lives. Read more about Zevla’s travels on Hobo Journey around Asia. You can also follow her on Facebook. wow, this is amazing. NICE PICTURES TOO. Great, absolutely great. I never hitchhiked, I always had many wrong preconceptions. For a while now I have been changing my mind, with this post I totally collapsed the preconceptions that I had left. Hi Robert, thanks so much! We’re very happy to hear you’re feeling inspired now to go on your first hitchhiking adventure. Definitely let us know how it went!